Landscaping and mulch are not only visually appealing but mulching in the spring has many benefits that you may or may not know about. The advantages of mulching are many. Mulch is applying any material, organic or inorganic, over the surface of the soil as a covering. The types of mulch can range in variety from the traditional and most commonly used shredded or chipped bark to things like compost, grass clippings, straw, shredded leaves, stone and synthetic rubber mulch. The benefits of mulching with shredded bark mulch, which is usually black, brown, or red, or any organic mulch, is that it decomposes. Organic mulch provides all the advantages of mulch plus it decomposes, which increases soil fertility and improves plant growth. Kohler Outdoor provides mulching as part of their landscaping services. 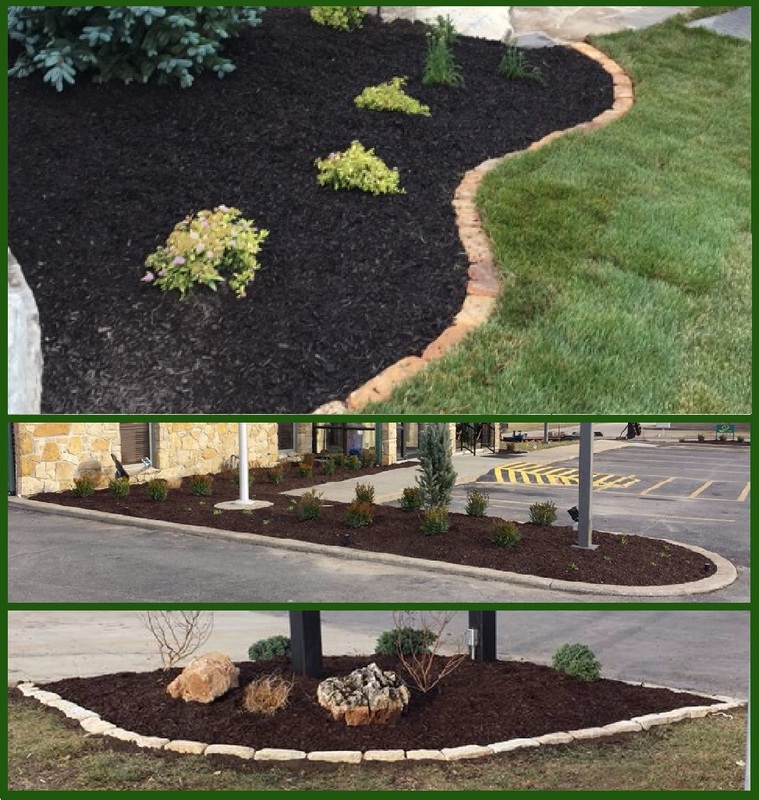 The advantages of mulching with inorganics like stone or synthetic rubber mulch is that there are many more design options and it is for the most part a permanent solution. Stone comes in a wide variety of sizes, shapes and color options to match almost any landscaping. Also, rubber mulch can be colored based on your landscaping needs. The biggest difference, however, is that inorganic mulch does not decompose. It is a disadvantage in that you do not get the soil fertility benefits of mulching with organics but you also do not have to replace it each year either. 1) Reduce weeds – Any type of mulch will reduce the occurrence of weeds. In fact, it is probably one of top objectives of mulching in flowerbeds and landscaping. Mulch acts to block sunlight and serves as an obstacle to make it challenging for weeds to grow. 2) Maintain soil moisture – The main purpose of mulch in gardens and around trees is to maintain soil moisture. Mulch reduces evaporation and helps to hold soil moisture around plants and trees. Doing so means less watering throughout the summer. 3) Stop soil erosion – In conjunction with retaining soil moisture, mulching also helps to prevent soil erosion. Mulch reduces the force at which heavy rains impact soil, which reduces the likelihood it washes away. In addition, stone mulch can act to hold soil in place along landscaped steep banks where surface run off can erode soil. 4) Protect trees – Mulching around trees, especially younger, newly planted trees, helps to protect them. Mulch is important around trees because it regulates soil temperature and moisture from extreme cold and hot swings, which are bad for tree growth. 5) Stop irritating and damaging pests – Different types of mulching can have an impact on pests around your home. For instance, cedar bark mulch provides all the advantages of mulching above plus its natural oils repel many kinds of insects. Cedar bark mulch is a great choice for gardens and around trees for that reason. Similarly, stone and inorganic mulch can prevent damaging pests like termites. Trade out organic mulch, which provides an ideal home for termites, for stone mulch to prevent termite damage around your home. For more information about mulching in the spring, call Kohler Outdoor at (816) 540-4400. Other services Kohler Outdoor offers include outdoor lighting, pavers and flagstone, outdoor living, and many more.